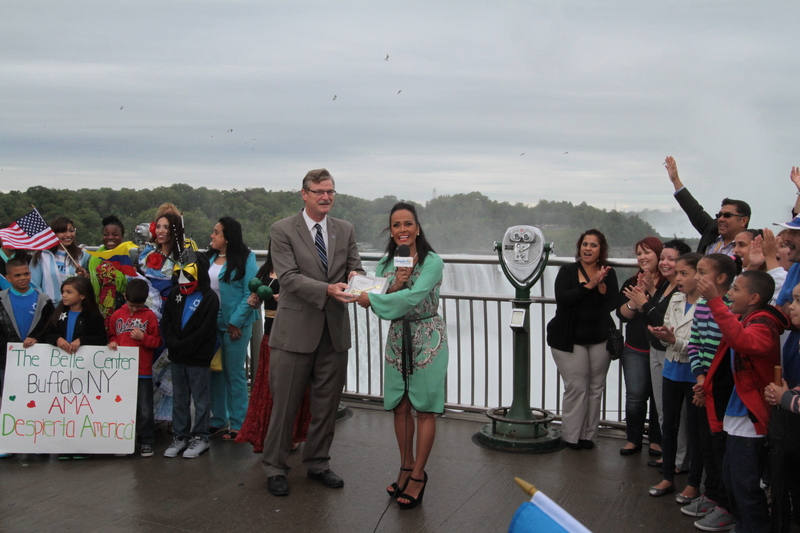 (August 15th, 2014) Millions of viewers around the world tuned in as Univision Network’s International Morning Show “Despierta America Live” broadcast live this morning from the Prospect Point Observation Deck, in Niagara Falls State Park. 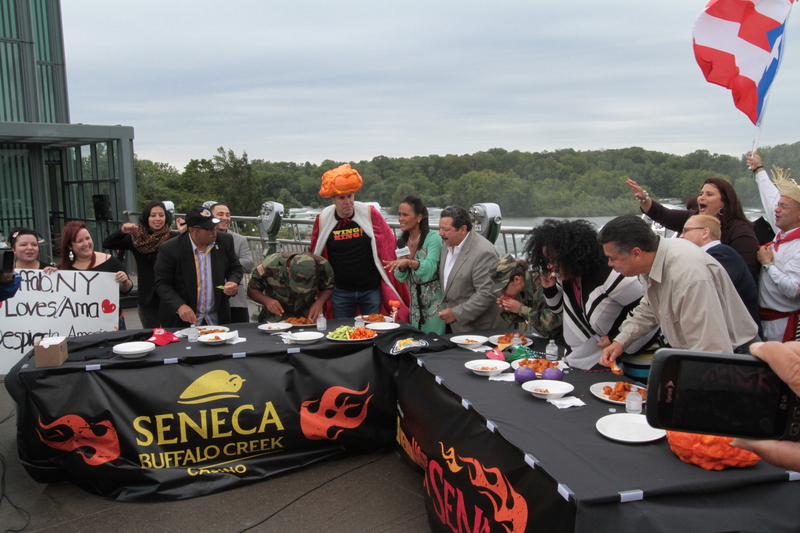 The “Wing King” Drew Cerza hosted a a Chicken Wing Eating Contest with wings provided by the Seneca Niagara Casino, Maid of the Mist Tours was featured in a prerecorded segment, and prominent WNY Hispanic leader Casimiro Rodriguez, President of the Hispanic Heritage Council of Western New York recruited an enthusiastic to audience to share the backdrop with the majestic falls this special worldwide television event. Univision Networks is the home for Hispanic families living the American Dream–the place where they connect with their culture. It is the 5th largest television network in the U.S. The Buffalo Niagara Film Office is coordinated the shoot, and Maid of the Mist Tours provided access to their observation deck which served as the set of the segments.